Holiday.gr - Liapades, a trip to a myth! The village of Liapades is about 5km from Paleokastritsa. It is a traditional village not effected from tourist development. It is built in a verdurous region, close to Ropa’s Livadi that covers an extend of 10.000sq.m of cultivating land. 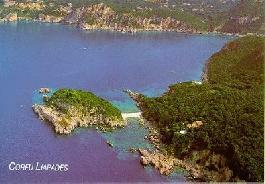 You can swim in the two beautiful coves with deep blue waters. One of them has big tourist development, while the other is ideal for those seeking for some privacy. Been to Liapades ? Share your experiences!